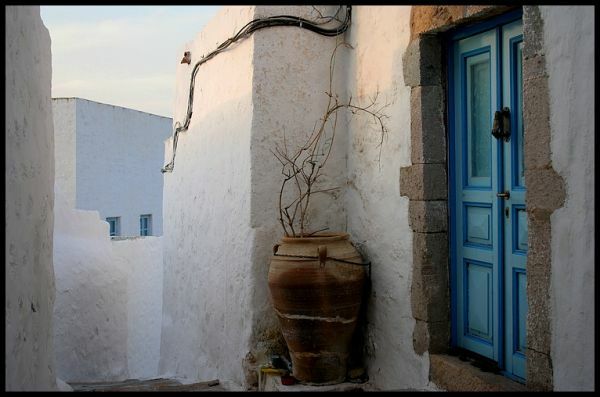 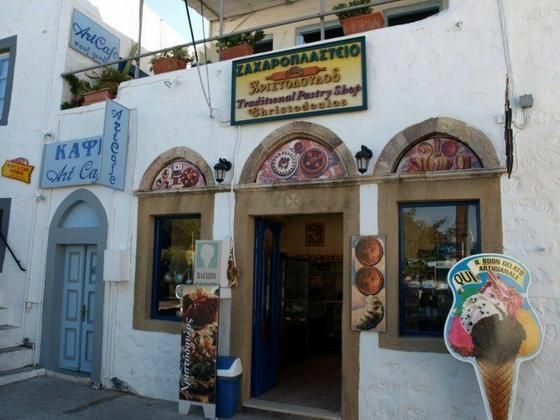 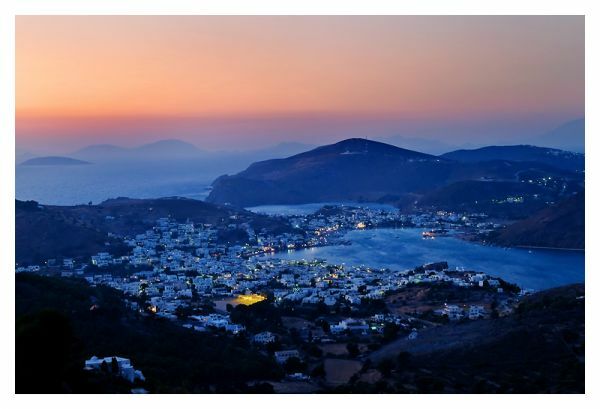 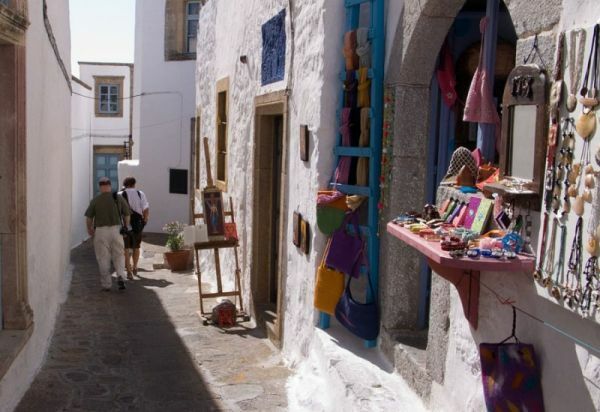 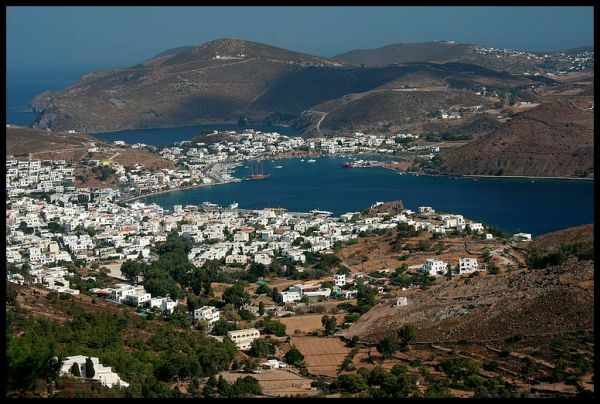 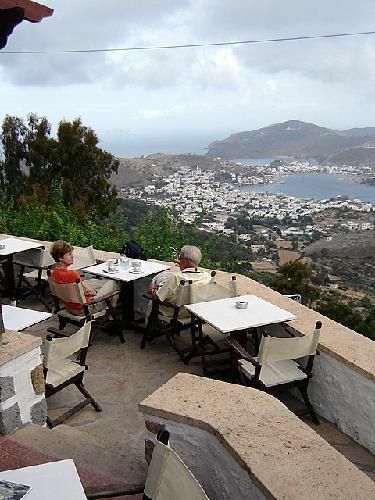 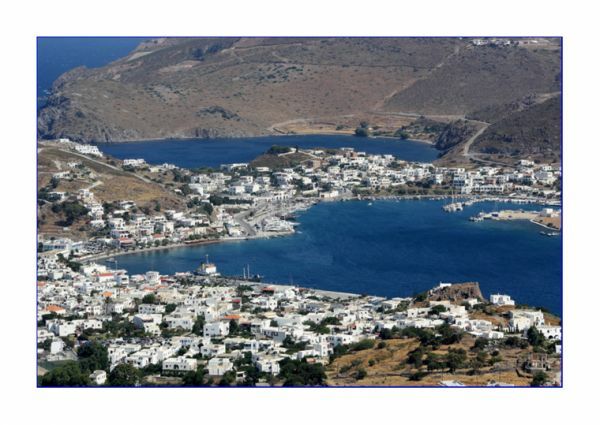 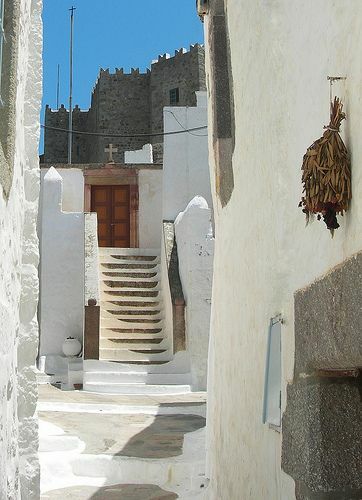 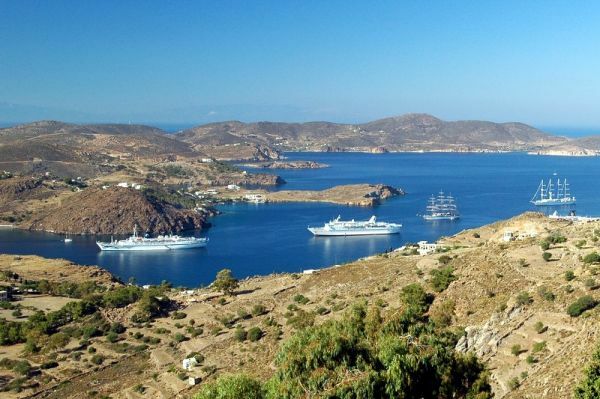 The Town of Patmos (Chora) is one of the most beautiful island capitals in Greece. 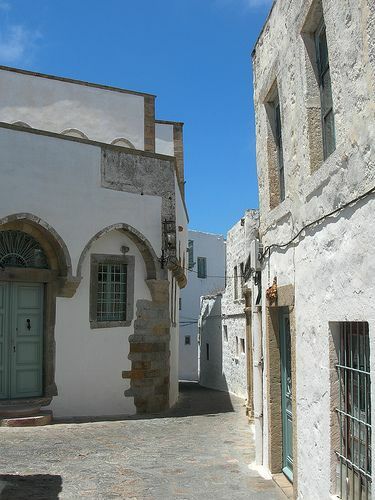 It has a traditional character and offers impressive views. 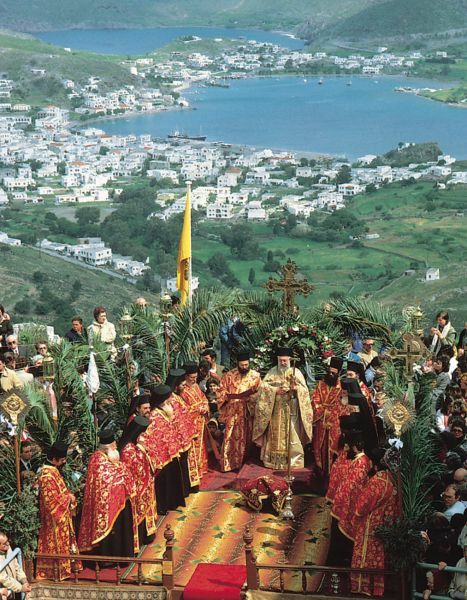 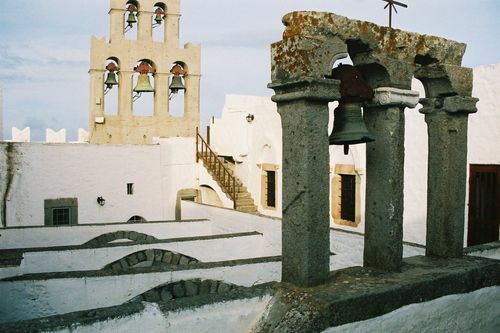 It is one of the few settlements in Greece that have evolved uninterruptedly since the 12th century and one of the few places in the world where religious ceremonies dating back to the early Christian times, are still being practised unchanged. 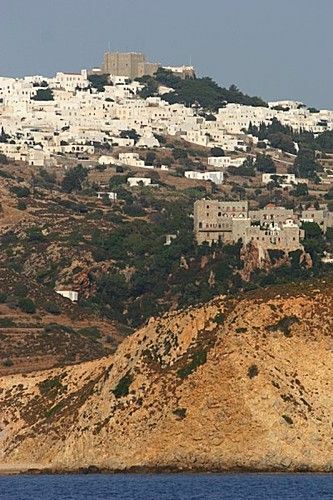 It has picturesque whitewashed traditional houses, impressive mansions, narrow cobblestone paths and one of the most important Greek-Orthodox Monasteries, the castle-monastery of Saint John & the Cave of Apocalypsis on the top of the hill (see separate listing). 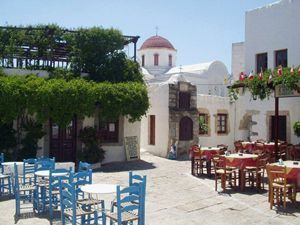 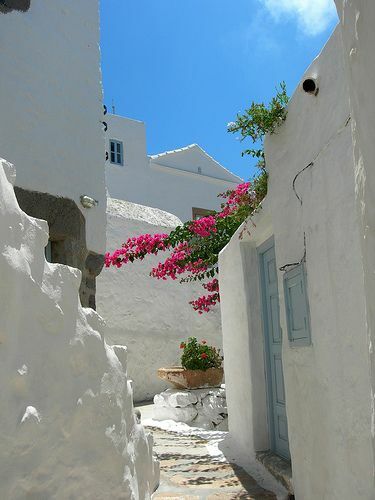 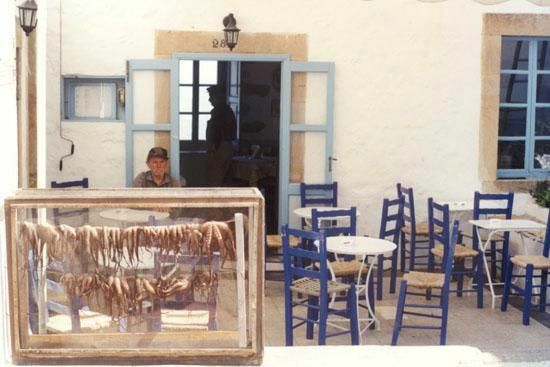 If you stroll in Chora, you will gradually discover the island’s important history. 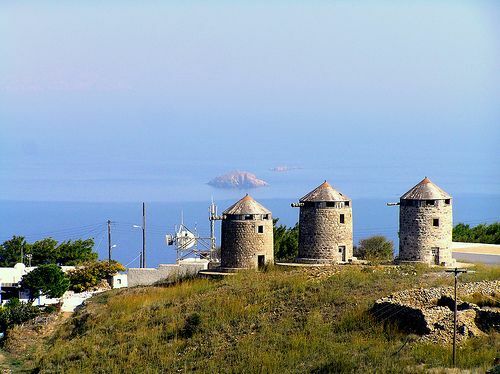 In the historic Byzantine path (built in 1974) leading to Skala (port), you will see the imposing walls and the magnificient views. 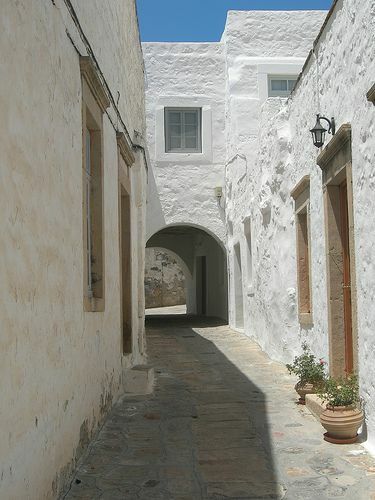 This path was once the island’s central road (see photo). 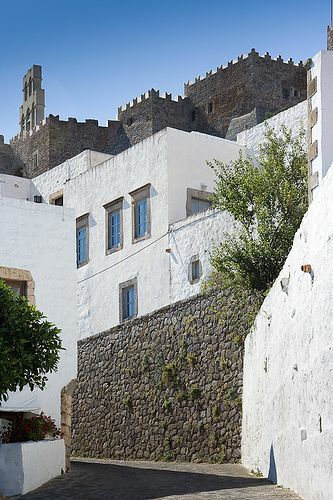 The characteristic of the local architecture is the high yard walls built around the houses, which join one another, creating a high wall around the town. 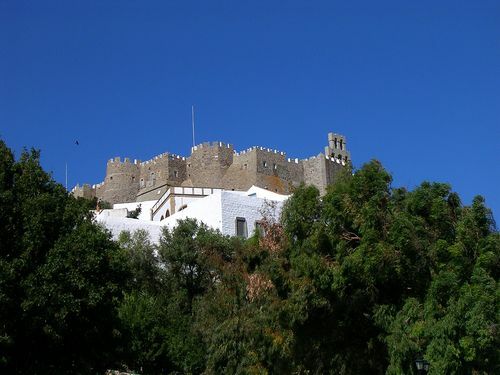 During the Byzantine period these walls protected the habitants from pirate invasions. 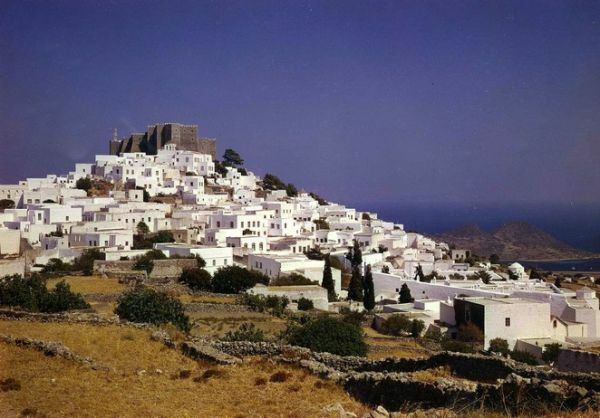 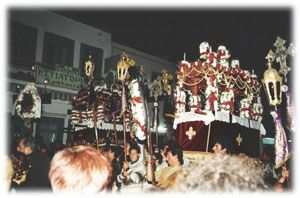 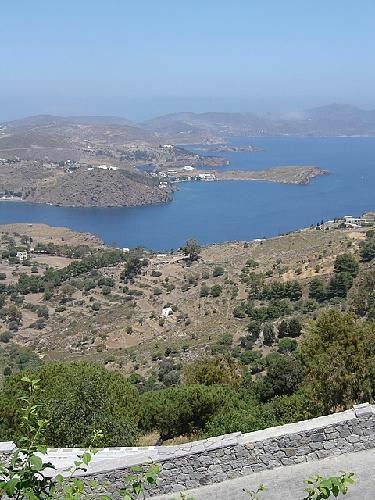 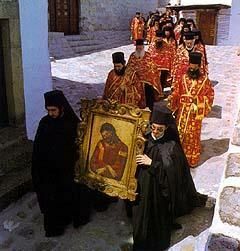 Patmos is characterized as a "sacred" island and you will meet many byzantine churches and monasteries with priceless icons and religeous treasures, most of which date from the 15th and 17th century. 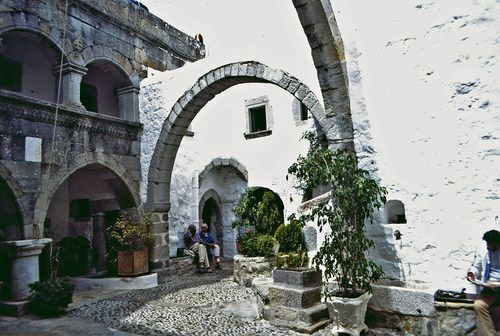 Besides the Saint John's Monastery and the Apocalypsis Cave, the most important are: The Zoodohos Pigi Monastery (1607), a characteristic sample of the local architecture, The Monastery of Annunciation in the beautiful area of Kipi (built on a deep gorge). 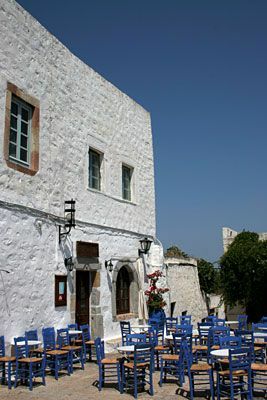 WORTH VISITING: Emmanuel Xanthos' Residence, one of the founders of Filiki Etairia (whose founders initiated the Greek Revolution against the Turks), the Folklore Museum, housed in Simantiri, a traditional house, built in 1625 by Ismir's craftsmen (see separate listing). 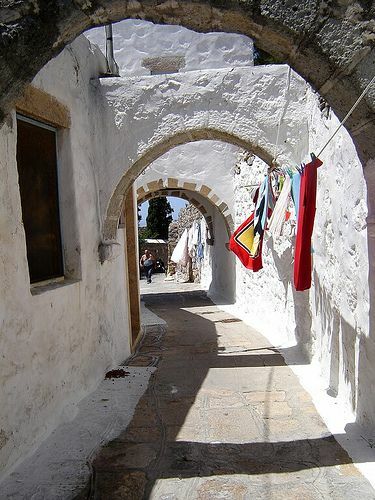 Chora is a sacred town and has limited touristic infrastructure and nightlife. 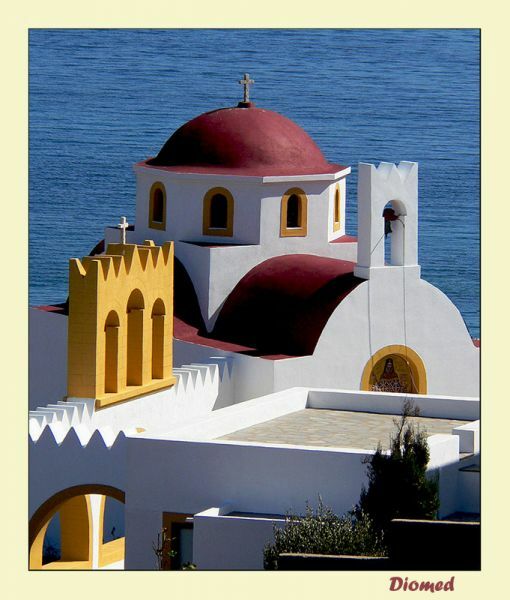 However it is visited by mumerous tourists every year. 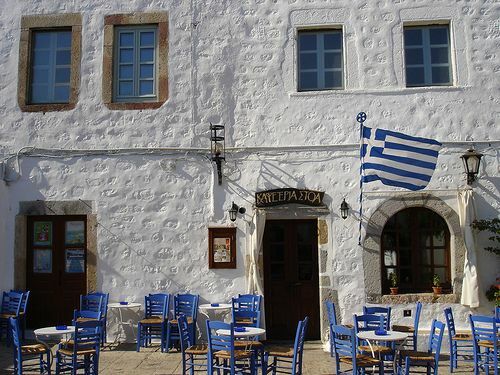 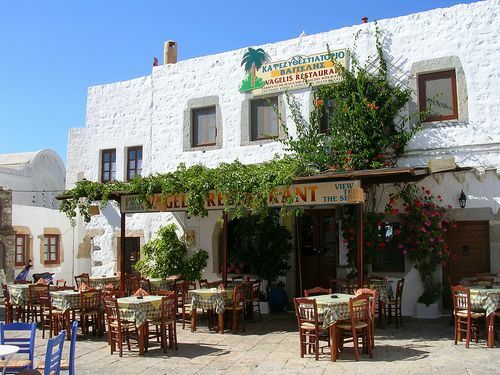 At night people gather at the atmospheric central square which has a couple of traditional tavernas and a bar-club. 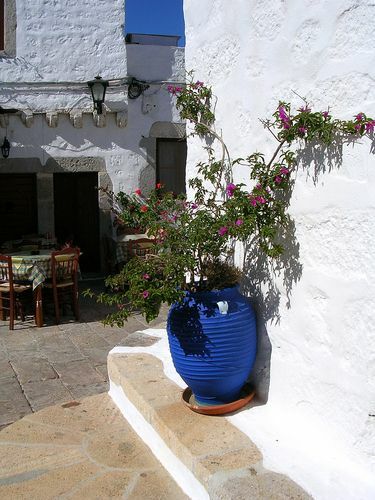 There are also a few traditional rooms to let.